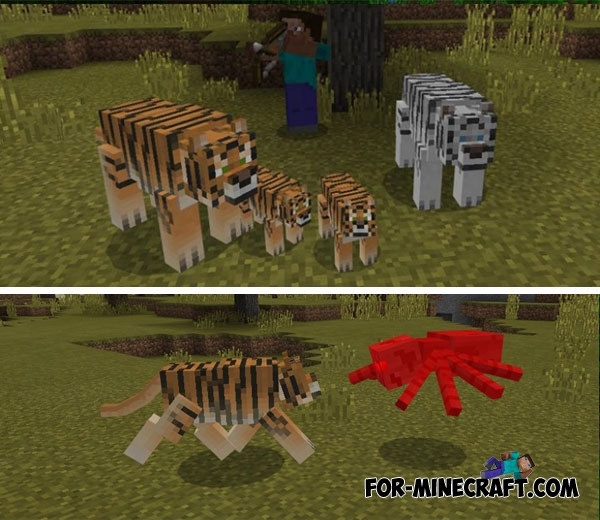 Wild Animals addon adds 4 new wild animals to Minecraft PE 1.1 at the moment. This pack will sometimes be supplemented with new mobs for the current version of MCPE. 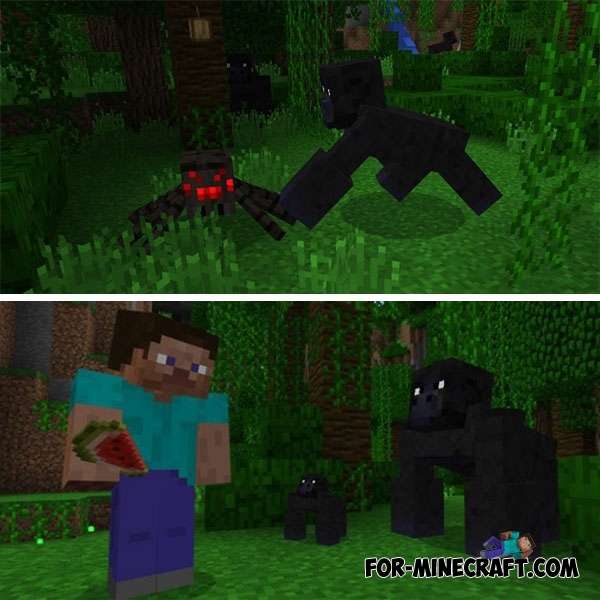 Right now you can change the animal world of your game by adding boars, tigers and gorillas. All animals have realistic behavior, natural appearance and sounds. Most of the features of these animals are taken from real life. For example, tigers always attack livestock even after domestication. Initially, all the animals from this pack are wild and you will need food and patience to tame one individual. There are two kinds of tigers: Malayan and Bengali tigers. They differ only in breed and have similar behavior. Obtain any meat and find a small tiger cub. Feeding meat, it will become your pet and will grow, becoming stronger and bigger. An adult tiger can protect you but it requires meat. A hungry tiger will look for food and if the sheep or pigs are on their way, they will become prey. These animals are very similar to pigs but the boars are very aggressive and will not let you close. They are stronger than pigs and use tusks for attack. 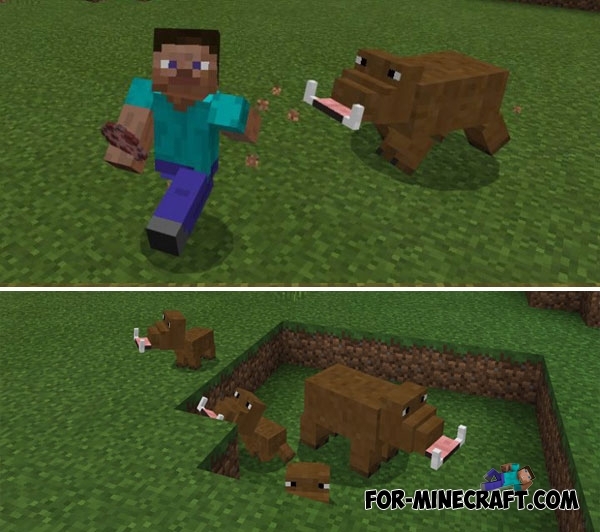 Boars flock poses a serious threat to you and your companions. Gorillas live in all parts of the world and can be tamed. An adult gorilla is calm and does not touch you when you behave peacefully, but you only need to hit a gorilla or its baby and you will have a bunch of problems. A gorilla's child eats melons and does not mind being your friend. There is a similar addon that adds pandas, zebras, crocodiles, snakes and other animals - Animals addon.